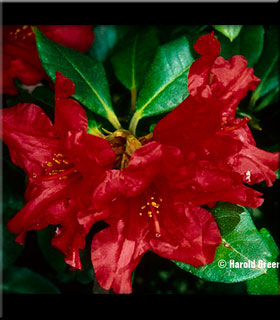 Comments: Small clusters of bright red flowers with dark centers cover this plant each spring. Year round foliage is a bright forest green. One of the best dwarf reds from Germany.